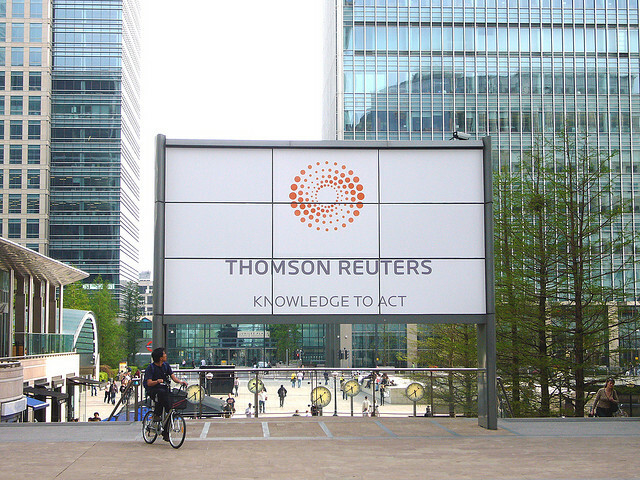 Information giant Thomson Reuters has acquired online brand protection solutions company MarkMonitor for an undisclosed amount. MarkMonitor provides online protection for some of the largest global brands on the Internet. Go look up the WHOIS data for domain names like Apple.com, Facebook.com, Google.com, Microsoft.com or Zynga.com and you’ll find that they’re all MarkMonitor-protected (often through its proxy business DNStinations). Other well-known tech clients include Nokia and Badoo, among many others. The firm was recently in the news when Wikimedia Foundation, the organization behind Wikipedia, moved all its domains from GoDaddy to MarkMonitor. Basically, what companies like MarkMonitor do is help prevent and actively go after a variety of online threats to a brand’s revenue and reputation, including online counterfeit sales, Internet piracy, domain squatting, rogue websites and ‘hijacked’ paid search traffic, on behalf of its customers. Back in October 2010, MarkMonitor acquired DtecNet Software, a global anti-piracy company. With the addition of the latter’s technology, MarkMonitor said it aimed to expand its brand protection platform by adding pinpointing and monitoring capabilities for illegal download activity on P2P networks, blogs, video streaming sites and Usenet services. Headquartered in San Francisco, MarkMonitor will henceforth be a part of the portfolio of intellectual property solutions from Thomson Reuters. Originally founded in 1999, MarkMonitor has over 400 employees in five countries.